﻿Vested Interest in K9s, Inc. is a 501c(3) non-profit whose mission is to provide bullet and stab protective vests and other assistance to dogs of Law Enforcement and related agencies throughout the country. In 2009 “Gus” was rescued, adopted, and completed his initial training. He was assigned to Cpl. Tim Corbett, who was selected and trained by the Barboursville Police Department, WV to be his handler/partner. Gus is a 100 pound, energetic and friendly Bloodhound who specializes in tracking and trailing humans for the purpose of Law Enforcement Search and Rescue. Gus loves to find people. He trains continuously with Cpl. 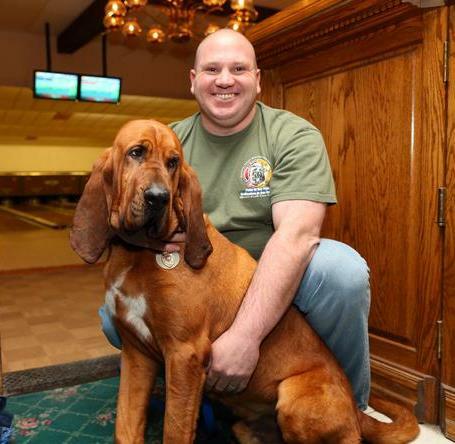 Corbett, and is a member of the National Police Bloodhound Association and the Trailing Group of the WV Police Canine Association, which meets monthly in various areas of West Virginia to train. Gus and Cpl. Corbett attend both the WVPCA and NPBA Annual Seminars for Training and Certification each year. Gus has completed over 2000 hours of training so far in his career. In addition to Gus’s Official Police duties, he is a celebrity within the community making appearances at local schools and organizations as part of the Barboursville Police Department’s Safety and Drug Awareness Presentations and has even led the annual Barboursville Fall Fest Parade. Gus loves rawhides and toys, playing “hide & seek” or tag, or just chasing people around. He gets excited when it’s time to train or to go out and find someone. His favorite thing in the whole world is just meeting new people. The only dislikes that Gus has is cats, or a bad person being put inside his patrol vehicle. Oh, and like most dogs, don’t ever grab his hips! K9 Owen is a four year old German Shepherd from Hungary. He is partnered with Cpl. Jason Bailey of the Fayetteville Police Department (AR) and is certified in patrol and narcotic detection. He became a member of the Fayetteville Police Department in January 2015. Owen loves going to work and always beats his handler to the patrol vehicle. 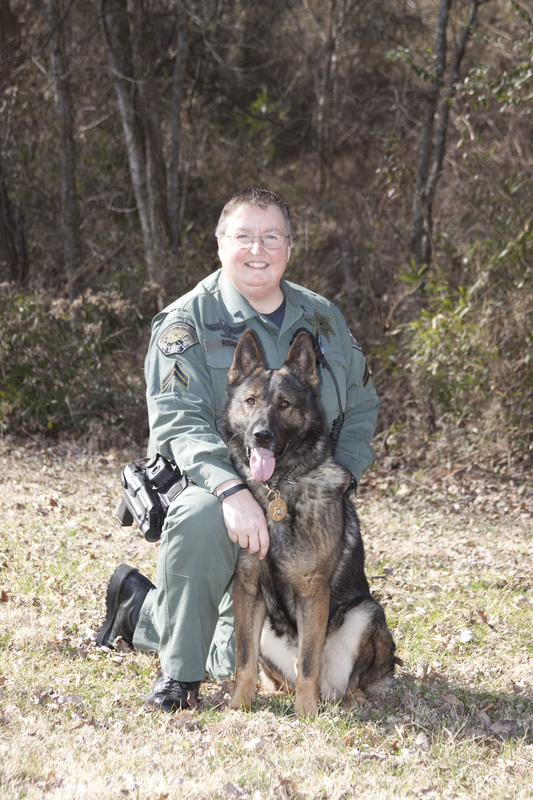 He is highly active while on patrol and a great asset to the Fayetteville Police Department. His only dislike is being away from his handler! Rookie is a two-year-old German Shepherd Dog certified in Patrol and currently training for Explosive Detection. K9 Rookie is partnered with Officer Jeffrey Seamans of the Lower Merion Police Department, Ardmore, PA. K9 Rookie graduated from patrol school in December of 2015 and had the distinct honor of being the first patrol dog to graduate from the Penn Vet Working Dog Center in Philadelphia, PA. Rookie will never say no to a game of fetch, she loves hanging out with her family, and lives to play hide and seek at work. Rookie has a strong dislike for being told to get off the couch at home and a equally strong dislike for people that run from the police. K9 Falk is a 2 year old German Shepherd certified in Patrol, narcotics, and tracking work. K9 Falk is assigned to Officer Todd Shong. Officer Shong has been with the Wellston Police Department (OH) since 2002. Falk is Officer Shong’s first police K-9 and they completed training together in the fall of 2015. 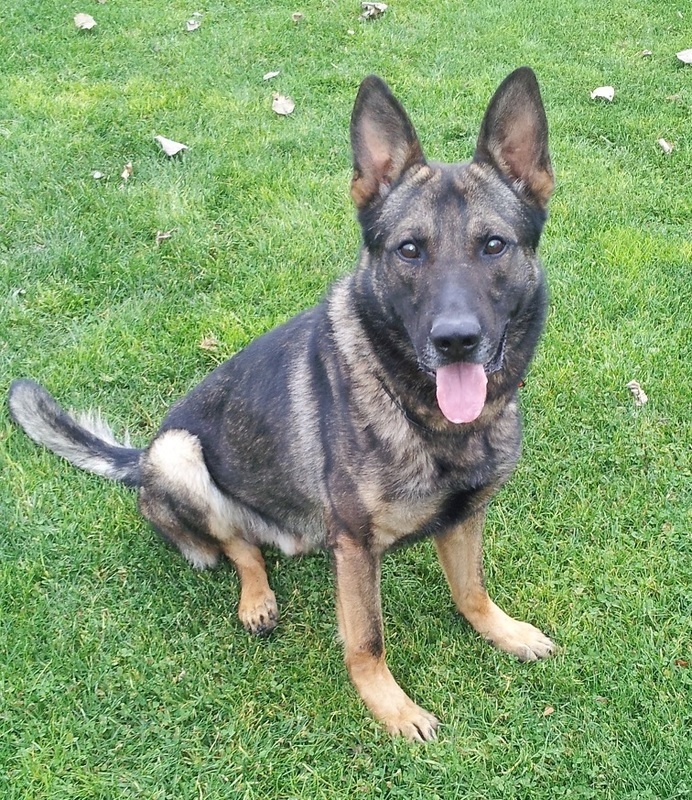 K9 Falk was appointed to the police department in October of 2015. K9 Falk likes to play fetch and chewing on his Kong, he also likes training days and going to work. Falk really enjoys spending time at home with Officer Shong and his family and socializing with kids and people in the community. Falk strongly dislikes anyone with intent to assault, escape, or evade officers. 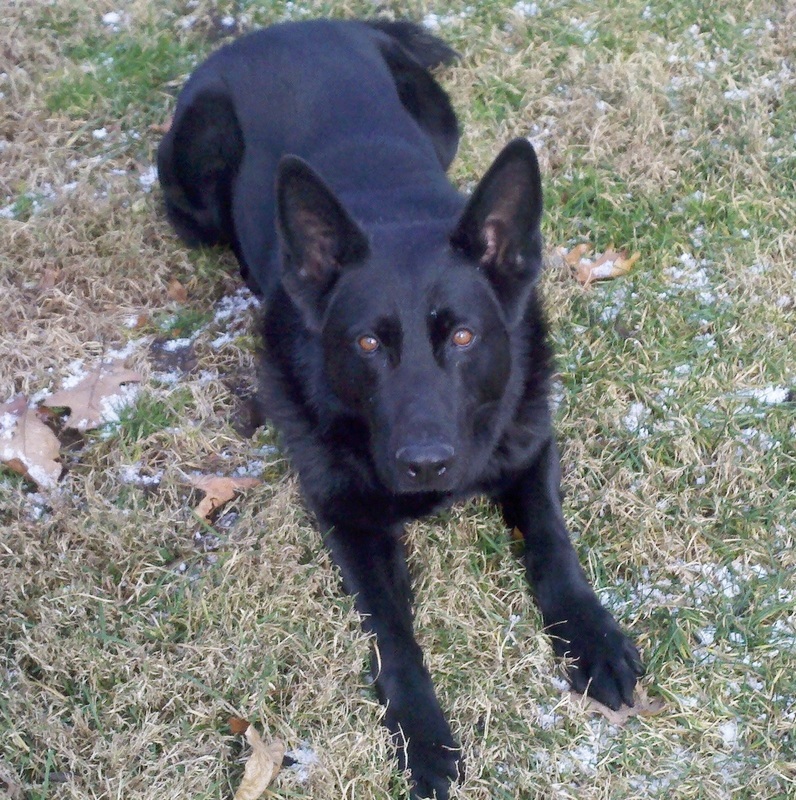 K9 Milow is a 2 ½ year old German Shepherd certified in Patrol and Narcotics Detection. He is assigned to Senior Police Officer David Strong of the Altamonte Springs (FL) Police Department. Together they completed the 480 hour FDLE’s K9 Team Standards school and were certified in March 2015. This team was then certified in Narcotics Detection shortly thereafter. Milow looks forward to his weekly training days and enjoys socializing with other members of the agency. He has a strong work drive and is always aiming to please SPO Strong. Milow is also known for his impressive speed and his desire to run. While off duty Milow enjoys playing with SPO Strong’s personal dogs, and his favorite toy is his Kong. The small patch of white on Milow’s upper chest marks the spot where he loves to be petted. However, Milow is not a fan of baths or having his nails trimmed. It gives us great pleasure to present K9s Gudy of the Walla Walla County Sheriff's Office in WA, Bear of the Williamson County Sheriff's Office in TN, Arko of the Paterson Police Department in NJ, Bert of the Ithaca Police Department in NY, and Dozer of the Ulster County Sheriff's Office in NY who will be the recipients of your AKC Rally Trial's generous donation of a bullet and stab protective vest. Please find attached their photographs and biographies below. Heartfelt thanks for your generosity towards the protection of a working dog and Vested Interest in K9s, Inc.
he is working side by side with Corporal Rogers. 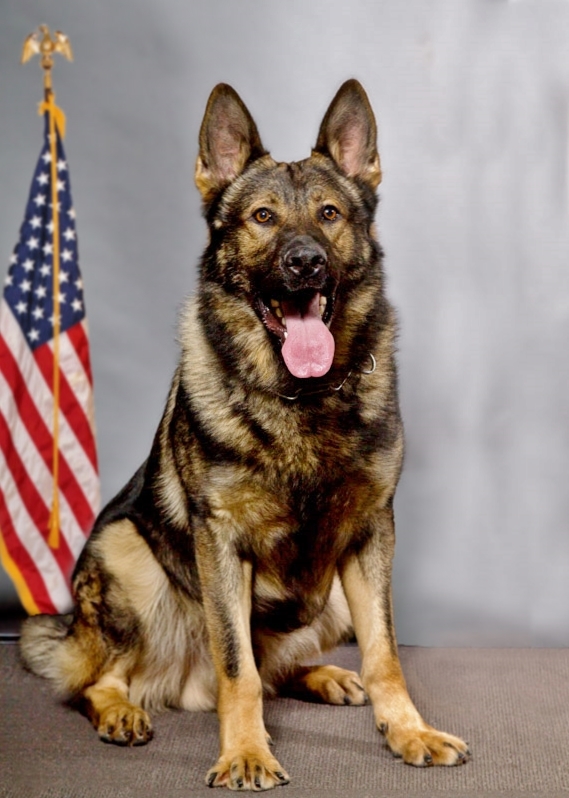 German Shepherd was added to the Ithaca Police Department, NY family. His official name is Albert Stanios and he born in the Czech Republic. has not had a K-9 team in over 10 years. is one of their most valued employees. certified in Patrol and Narcotics and is assigned to Deputy Kyle Frano. Dozer was purchased from Shallow Creek Kennels in Sharpsville Pennsylvania. 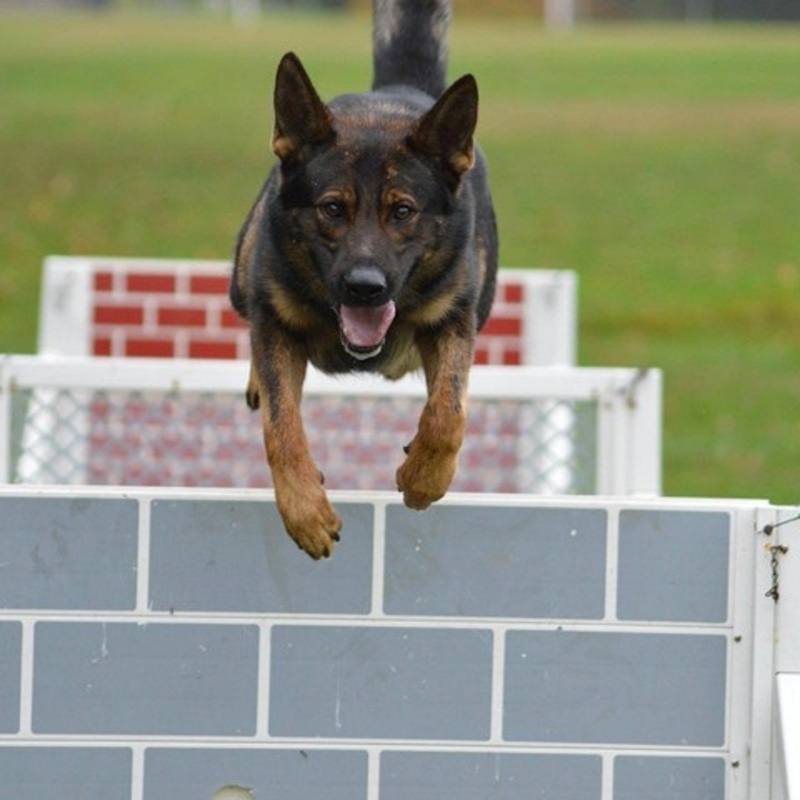 Dozer became a member with the Ulster County Sheriff’s Office in April 2013 with a previous handler. Dozer has completed both Narcotics Detection and Patrol/Tracking Courses with certifications from the NYS Division of Criminal Justice Services. Deputy Frano is also a long time member of the Ulster County Emergency Response Team(SWAT). Dozer loves to play fetch with his ball, going on long hikes, swimming and training days were show off his skills. He has a strong drive for pleasing Deputy Frano with anything he is tasked with, be it locating narcotics or tracking and apprehending suspects. He has a strong dislike for visits to the vet's office, bad guys and staying home alone. Police Canine Association (WSPCA). Since that certification, this team has completed in excess of 320 hours of ongoing training to remain proficient. Gudy loves chasing and chewing on his Kong in his yard and especially loves training days. He has a strong dislike for anyone who approaches his Patrol vehicle and is very protective of his handler. Gudy has a strong drive to find suspects he is tracking and does not like them to evade capture.